Electrotherapy Sock increases blood circulation and thereby reduces swelling. 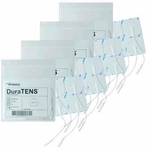 We recommend a conductive electrolyte gel to be used with all garment electrodes. Important! A Garmetrode Electrode is just simply a garment with an electrode or multiple electrodes attached. 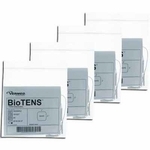 All Garmetrode Electrodes require a TENS Unit or Muscle Stimulator to work! Our universal sized, conductive sock is used to treat the entire foot which is difficult to treat with self-adhesive electrodes. Commonly used to treat RSD, Tarsal Tunnel, neuropathies and basic foot/ankle injuries. Sufferers of diabetic foot pain, sprains, and fractures in the feet and ankles, and other podiatric ailments now have an easy, in-home treatment option: the Sock Electrode. The sock provides stimulation to the entire foot and ankle to increase blood flow, thereby reducing swelling and associated pain. 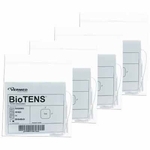 Easy access to electrode pins. Provides electro stimulation to entire Foot and Ankle. Electrotherapy Sock increases blood circulation and thereby reduces swelling. Ideal when used in therapy for Foot Pain, Arthritic Pain, RSDs, Sports Injuries, Postoperative Swelling reduction and Pain Management. Easy Treatment for diabetic foot pain, sprains and fractures in the feet, ankles and other podiatric ailments. Electrotherapy Sock is best for an easy, at-home non-hydrotherapy treatment. 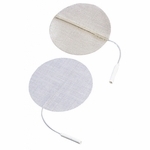 Electrotherapy Conductive Garments are made with high quality silver knit mesh material that is FDA approved and is more conductive than many other products on the market. Conductive garments encapsulate the area that requires treatment and covers a larger surface area than a standard electrode. 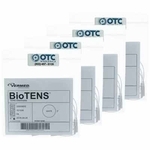 They offer stimulation without skin irritation, providing a great alternative to patients that suffer from allergic reactions to conventional E-Stim therapies. Conductive garments also provide compression, to better treat edema. Our conductive garments utilize a neo-foam material, which is more breathable alternative to neoprene, preventing excessive heat and perspiration. The Electrode Sock provides stimulation to the entire foot and ankle to increase blood circulation, thereby reducing swelling and associated pain. Sufferers and other podiatric ailments now have an easy, at-home non-hydrotherapy treatment. Ideal when used in therapy for Foot Pain, arthritic pain, RSDs, sports injuries, post-operative swelling reduction and pain management. 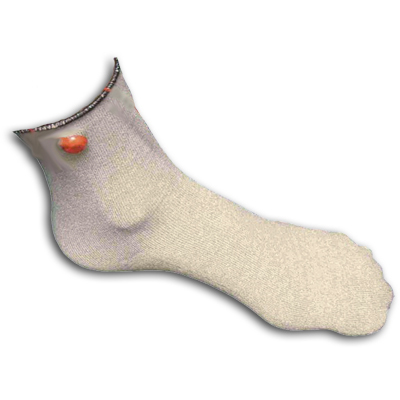 This Form Fitting Electrode Sock comes in one size that fits all. Patients with diabetic foot pain, sprains and fractures in the feet, ankles and other podiatric ailments now have an easy, at-home, treatment option. The sock helps provide stimulation to the entire foot and ankle to increase blood flow, thereby reducing swelling and associated pain. Remove jewelry from area that will be covered by the garment. Clean skin thoroughly with soap and water. Place garment over area to be treated with the electrotherapy stimulation, making sure that the garment conforms snugly to the skin. Garment may be used wet, but for optimal conductivity, it is recommended to apply conductive spray to garments prior to use. A suggested application of the spray is to turn the garment inside out and spray the inside of the garment. Consult your practitioner. Insert pin from RED lead wire into snap adapter and attach that to the garment. Insert pin from the BLACK wire to the connector on a dispersive/grounding electrode. Place dispersive electrode on the appropriate portion of the body. Do not apply electrode in a manner that will allow current to pass or through the chest or head area. Do not place directly over the spine. Consult your practitioner for electrode placement. Another option for the BLACK wire is to use a second garment, which will perform as a dispersive electrode. Turn stimulator on and adjust as directed by practitioner. This product should be used only under the direct supervision of a registered Healthcare Practitioner. Product use should be in accordance with the directions and specification of the stimulation device. 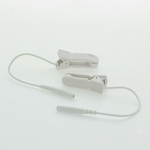 Improper use of this or any electrotherapy electrode may result in a patient burn. Should skin rash or irritation occur, discontinue use and consult your practitioner. 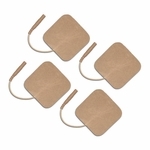 In multiple, consecutive treatments of a patient, the electrodes should be discarded and replaced if damaged or when comfort can no longer be obtained. If in doubt about the integrity for proper function of any electrode, replace before proceeding. 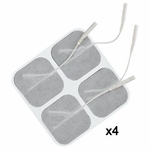 Electrode Conductive Garments are washable -- garments may be machine washed, or hand washed with mild soap and cold water; use delicate/gentle cycle. Tumble dry on low or lay flat to dry. Do not use bleach. Disconnect the cabling (lead wire) and store garment in sealed plastic bag. Garment should be completely dried before placing in plastic bag.